Starting the grand opening the New York International Auto Show 2016, Nissan immediately present their main menu to the visitors. The figure of the 2017 Nissan GT-R aka Godzilla that had become a mystery now officially revealed. 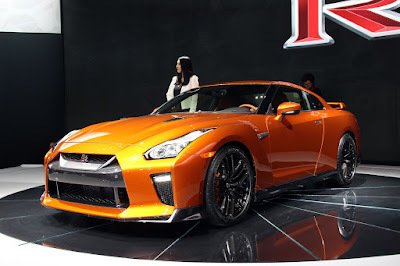 Nissan gives a new twist in the exterior area of ​​the Godzilla with a more sporty and stylish at the same time. Its face was plastered the V-motion grille up front that has also been slightly enlarged to provide better engine cooling, as well as the bumper and lip spoiler which instantly makes it look more fierce. On the sides and stern areas obtain special upgrade in order to increase the rate of airflow. By carrying the side sills are slightly wider and a new rear bumper with air vents on either side serving of aerodynamic perfection belongs to the Japanese monster. Its brutal looks is not the only update in the 2017 Nissan GT-R. When we stepped into the cabin of 2017 Nissan GT-R dominated by black Nappa leather upholstery. Monitor screen size 8 inch mounted as a center of entertainment and navigation. 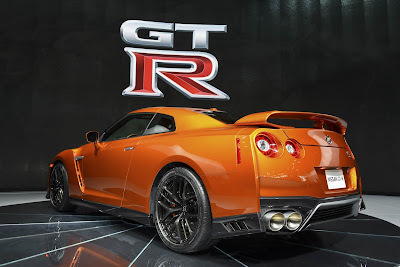 The sports car is also equipped NissanConnectSM feature that enables users to listen to music, view maps, and even lock the car using a mobile phone.